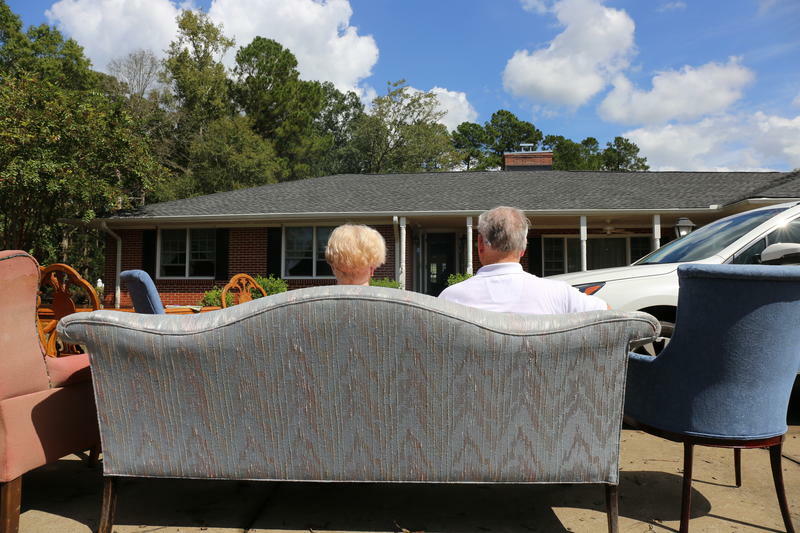 Two weeks after the president visited their neighborhood in Conway, Bill and Diane Parker sit on a sofa in their front yard, surrounded by furniture. They’ve just come home for the first time since Hurricane Florence’s flood waters ravaged their Sherwood community, east of downtown. The damage is worse than they imagined. “I would lie in bed at night and think about each room,” Diane Parker said. “What did I leave? What’s there that is possibly going to be ruined”. The city of Georgetown may get a bit of a reprieve as Hurricane’s Florence’s flood waters make a final push before heading out to sea. Georgetown County officials now say an updated flood anticipation map from the South Carolina Department of Natural Resources shows a much improved forecast and is encouraging people who have evacuated to take a look and decide if it’s safe to return. That certainly was not the case a couple of days ago. 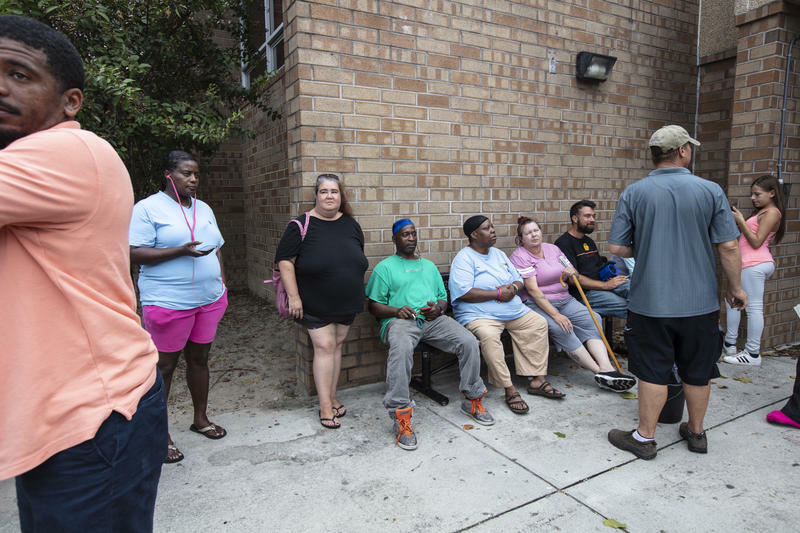 FEMA Disaster Survivor Assistance teams are working in South Carolina areas affected by Hurricane Florence, but survivors with uninsured or underinsured losses should not wait for one of these teams to arrive before they register with FEMA. DSA teams are equipped with latest mobile technology allowing them to register survivors for disaster assistance, update their records and make referrals to community partners. Team members tailor the information and services they provide to the individual survivor's needs. On this edition of South Carolina Lede, host Gavin Jackson is joined by Post and Courier's Joe Cranney and Associated Press' Meg Kinnard to discuss the aftermath of Hurricane Florence and the record flooding that continues to affect us and could result in billions of dollars in damages. South Carolina Public Radio's own Statehouse Reporter Russ McKinney also stops by to quiz Gavin with South Carolina trivia in this week's Did You Know segment. The day before President Trump visited Conway, Doug and Sissy Owen got a knock on their door. 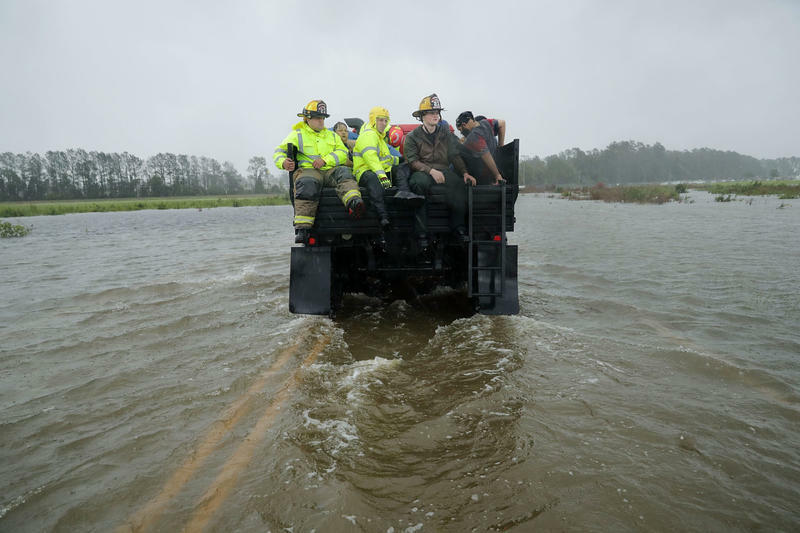 It was the National Guard advising them to seek higher ground in 48 hours, well before the weekend when the Waccamaw River is expected to crest. 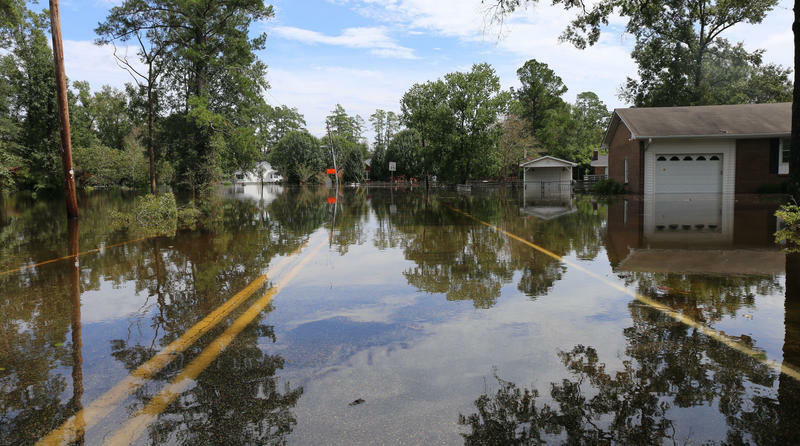 The Waccamaw River has yet to crest and people who fled Conway before Hurricane Florence and returned are now evacuating, either on their own or being forced to go. Debbie Long helped her mother-in-law move out of a neighborhood east of town near Crabtree Swamp just days before the National Guard moved in, pulling people from their homes. So how high was the water? The State Emergency Operations Center (SEOC) continues to be fully operational, staffed by emergency personnel from multiple state agencies and emergency organizations. The SEOC will be operational 24 hours a day until further notice. 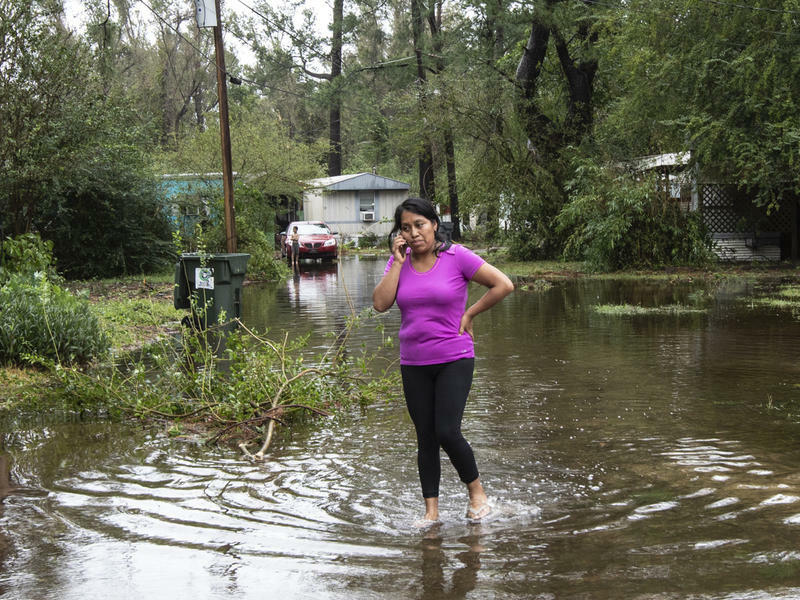 Florence weakened to a tropical depression Sunday morning, the National Hurricane Center said, but flooding continued to be a major danger throughout the Carolinas. North Carolina Gov. Roy Cooper said the storm is more dangerous now than when it made landfall. 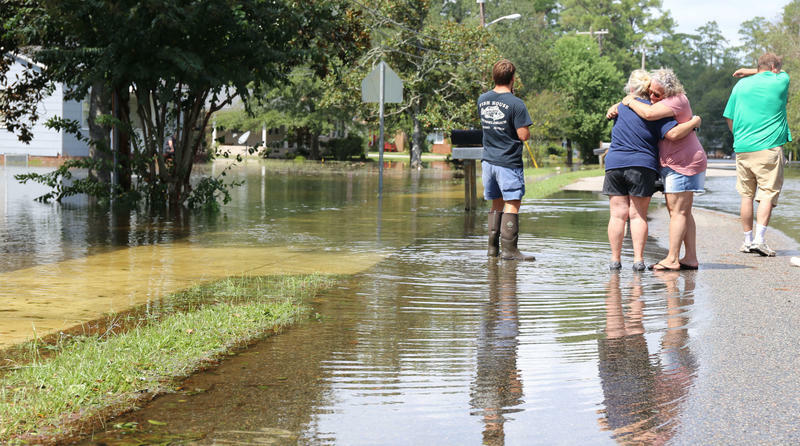 "Flood waters are still raging across parts of our state, and the risk to life is rising with the angry waters," Cooper said in a news conference on Sunday. "The threat of flooded roads keeps spreading," Cooper continued. There IS an end in sight. It’s just not anytime soon for those that need it the most. Even though all tropical storm warnings have been cancelled, the persistent heavy rain and flash flooding from Tropical Storm Florence will continue for several more hours in portions of North and South Carolina. 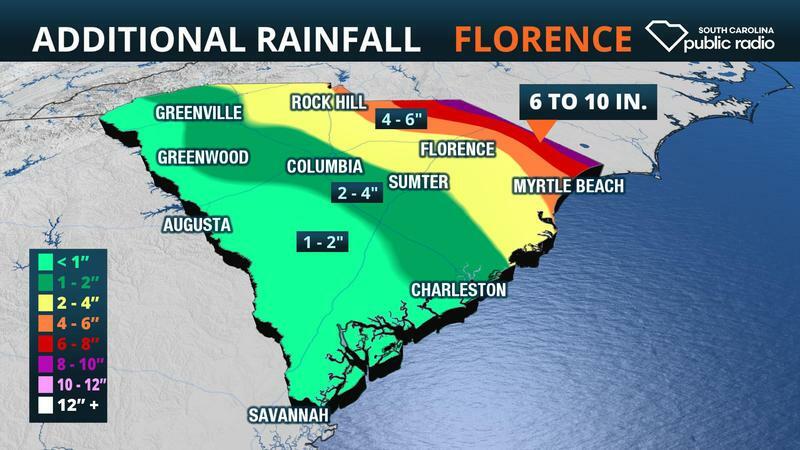 The heavy rain and flood risk will then spread across the Mid-State of North Carolina and areas along and north of I-20 in South Carolina Saturday Night. Hurricane-force winds roared through the cracks around Randy Wood's garage door, shook his house, and stripped his property's pine trees, strewing one limb after the next in his yard. Accompanying the roar of the storm was the steady ticking whirr of Wood's generator and his own matter-of-fact voice, tinged by his Carolinas accent, explaining why he decided to stay in his home in Conway, S.C., directly in the path of Hurricane Florence. 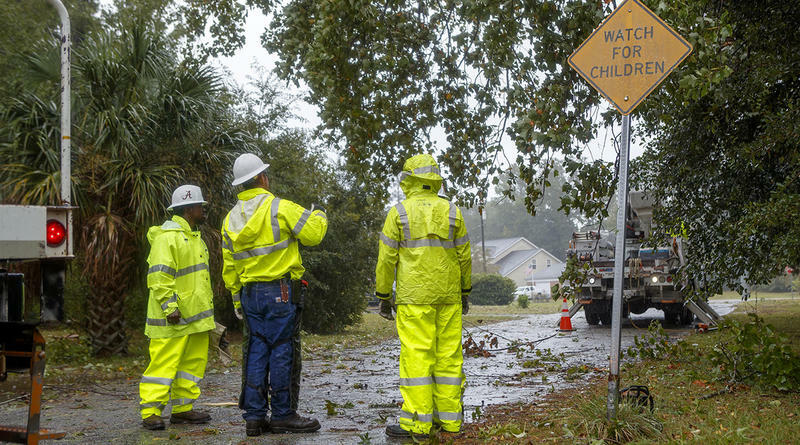 Reports from Santee Cooper indicated that as of 3:30 p.m. Friday, some 38,900 Santee Cooper retail customers were without power due to early impacts from Hurricane Florence. Earlier in the afternoon outages peaked at 39,200, and crews were able to restore about 9,000 customers today before the outages increased again. On the transmission side, three lines were locked out, impacting customers of Santee Cooper, Horry Electric Cooperative and Santee Electric Cooperative. 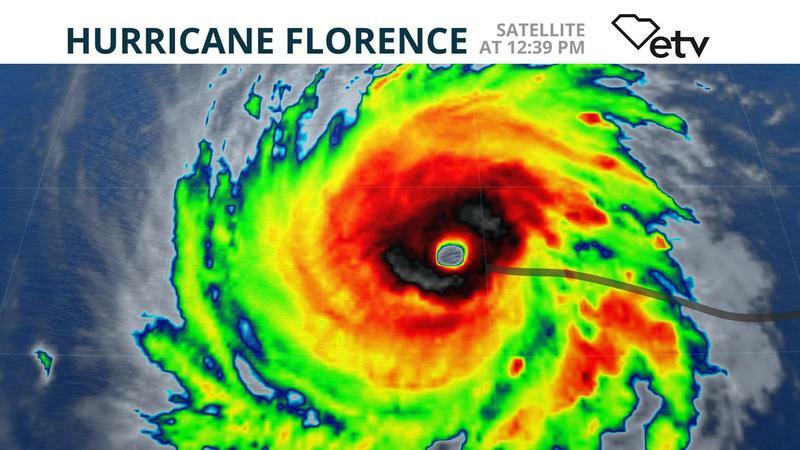 Hurricane Florence has slowed and is now crawling to the west at 6 mph. 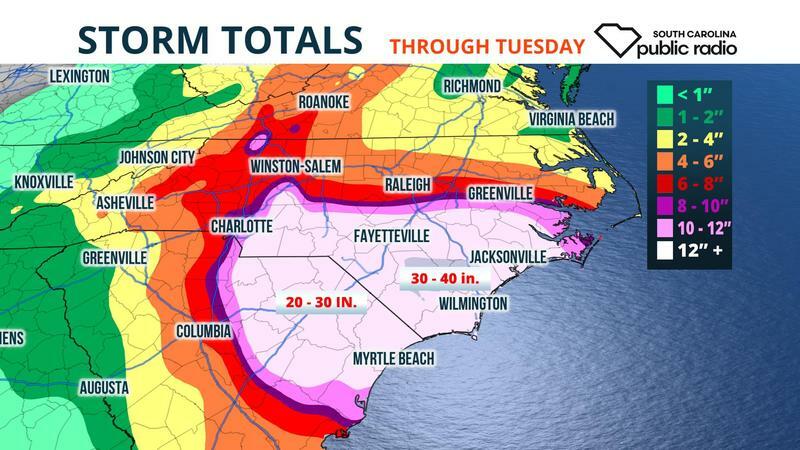 Life-threatening storm surge, inland flooding, and wind damage are imminent along the coast of North Carolina from Wilmington to the Outer Banks and stretching to northern portions of South Carolina through the day on Friday. Florence is forecast to move southwest along the coastline before turning to the northeast on Sunday. 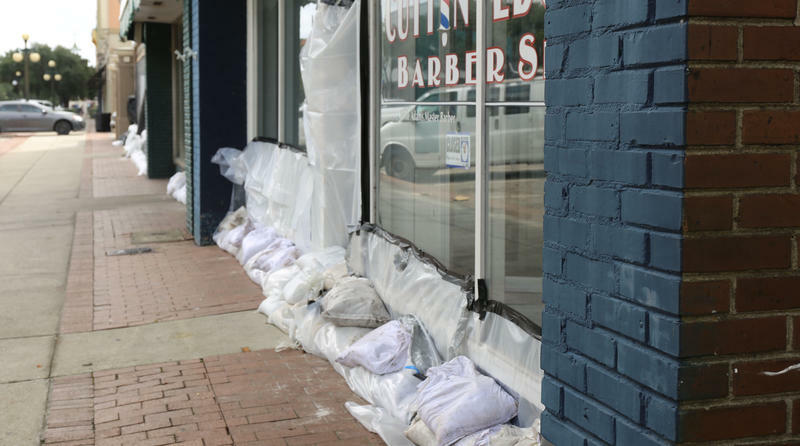 As Hurricane Florence slams North Carolina, the riverfront city of New Bern is already feeling the impacts. Emergency crews are attempting to respond to more than a hundred calls for rescues. Amber Parker, spokesperson for Craven County, North Carolina, tells Here & Now‘s Jeremy Hobson that officials are happy to have daylight on their side Friday. In the days leading up to the arrival of Hurricane Florence, North Carolina's governor offered a series of dire warnings. 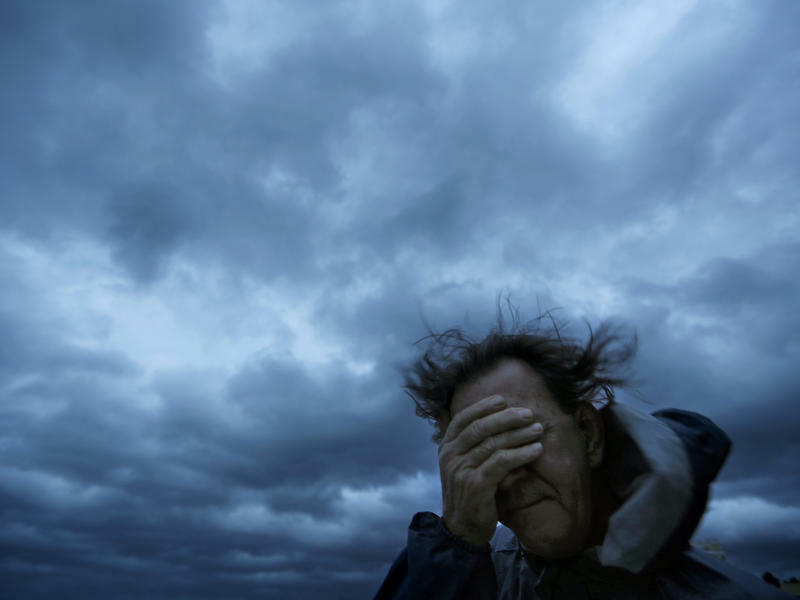 "Even if you've ridden out storms before, this one is different," Gov. Roy Cooper said. As Hurricane Florence made landfall, it appeared many North Carolinians had listened. Life-threatening storm surge and extreme wind damage is becoming more likely from Major Hurricane Florence in portions of South and North Carolina, which prompted the National Hurricane Center to issue a Hurricane Warning and Storm Surge Warning for more than 350 miles of coastline Tuesday afternoon. Florence is then likely to slow to crawl or even stall, potentially producing catastrophic inland flooding across a large area of the Mid-Atlantic and Southern Appalachians. Florence rapidly intensified into a "potentially catastrophic" Category 4 storm Monday morning, the National Hurricane Center said in a special statement at 12 pm. This was based on data from a NOAA Hurricane Hunter aircraft's most recent pass through the eye, which found maximum sustained winds near 130 mph and a central pressure of 946 mb. The storm was located 925 miles south-southeast of Bermuda, or 1230 miles southeast of Cape Fear, North Carolina, and moving west at 13 mph. mph. Florence became a hurricane again Sunday morning, and is forecast to rapidly intensify into a major hurricane by Monday. The storm could be a dangerous, slow-moving and significant threat to South Carolina later this week.